March is National Nutrition Month, and this year's theme is "Put Your Best Fork Forward", which acts as a reminder that each bite counts. Making just small shifts in our food choices, can add up over time. 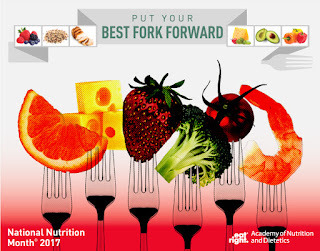 In honor of National Nutrition Month, our registered dietitians have been discussing the importance of diet and nutrition for cancer prevention. Of the more than 572,000 cancer deaths that occur in the United States each year, one-third can be attributed to diet, physical activity habits, and overweight and obesity*. Behaviors such as maintaining a healthy weight, staying physically active throughout life, and consuming a healthy diet can substantially reduce one’s lifetime risk of developing cancer. Set healthy, realistic goals. You are more likely to succeed in reaching goals when you make one or two specific, small changes at a time. Track your progress by keeping a food and activity log. Practice mindful eating. When eating, try to be aware and in the moment. Don’t multi-task or eat on the go—sit down and focus your attention on eating. Step away from screens (TV, computer, phone) to limit distractions. Slow down and listen to your body’s hunger and fullness signals—it takes your brain about 20 minutes to realize your stomach is full. Don't skip meals! Eating regularly throughout the day prevents dips in energy, keeps you alert and focused, and helps prevent overeating at later meals. Try to eat every 3-4 hours. Eat at least 2½ cups of vegetables and fruits each day. 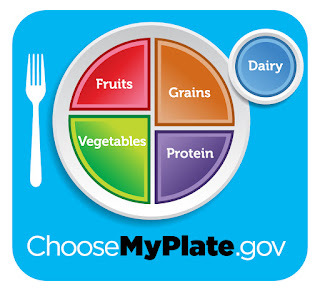 Think of including a variety fruits and vegetables at every meal! 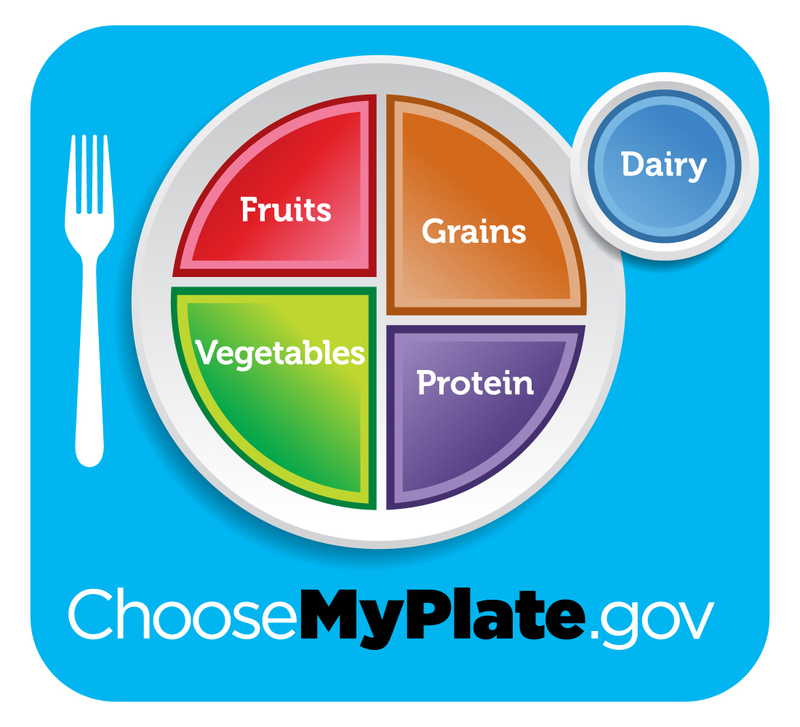 Follow My Plate guidelines for building meals. Be sure to pay attention to portion sizes! Aim for at least 150 minutes of moderate intensity or 75 minutes of vigorous intensity activity each week (or a combination of the two). Find activities you enjoy! You are more likely to achieve physical activity goals if you look forward to exercising. Limit sedentary behavior such as sitting, watching TV, surfing the internet, or other forms of screen-based entertainment. * Kushi LH et al. American Cancer Society Guidelines on Nutrition and Physical Activity for Cancer Prevention. CA Cancer J Clin 2012; 62:30–67. 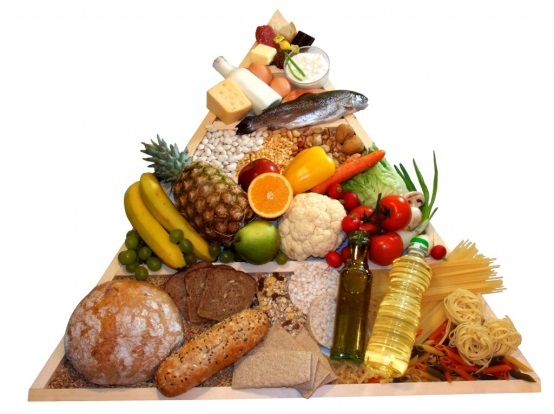 At Food & Friends, our regular and therapeutic diets are modeled after the Mediterranean diet and provide our clients with the heart healthy nutrition they need to thrive. 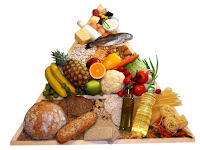 We provide our clients with a variety of plant foods, whole-grain breads, cereal and pasta, a variety of herbs and spices to flavor their food, heart healthy fats and lean proteins like fish and poultry. Small changes every day can have a big impact in the life and health of you and your loved ones! Food & Friends is pleased to welcome Carolyn Schmidt as Food & Friends' new Chief Development Officer! Carolyn started in December and has already immersed herself in the organization. “I am very pleased to welcome Carolyn to our organization. Her broad and deep experience in development will create enormous benefit to Food & Friends,” said Craig Shniderman, Executive Director of Food & Friends. 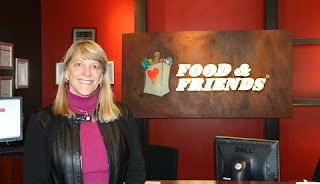 "It is an honor to be joining Food & Friends in such an important leadership role," said Carolyn. "I'm coming from an organization that provides loving homes for children, so the mission of Food & Friends resonates. It's about caring for people who are dealing with a life threatening illness, providing them with something as basic as nutritious meals, a personal connection, and maybe even a hug. I'm excited to be part of something so meaningful." Carolyn has over 29 years of results-driven fundraising and non-profit management experience working for international, national and regional organizations in social services, higher education and literacy. She is joining Food & Friends from SOS Children’s Villages-USA, Inc., where she oversaw major and planned giving. Before SOS, she held leadership positions as Managing Director of Development for Prevent Cancer Foundation, Director of Development for Reading Is Fundamental, and was Director of Operations for Catholic Charities Foundation of the Archdiocese of Washington. Carolyn is a Certified Fundraising Executive (CFRE) and an active member with the Association of Fundraising Professionals. She believes in cultivating a culture of philanthropy throughout an organization and is committed to fostering relationships with donors who become long-time philanthropic partners. She and her husband live in Arlington, Virginia. She has two adult children – a recent graduate of James Madison University and a student at the University of Mary Washington. Food & Friends' Favorite Moments of 2016! 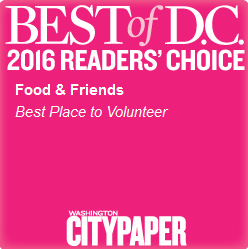 Thanks to you, our amazing and supportive community, 2016 was another tremendous year here at Food & Friends. Here are a few favorite memories and milestones from our staff! … We are so proud that Food & Friends delivered its 20 millionth meal in 2016. If you lined up 20 million of our home-delivered meals, the line would stretch all the way from Washington, DC to Los Angeles! … Our 2016 Volunteer Appreciation Night was a truly inspiring night. 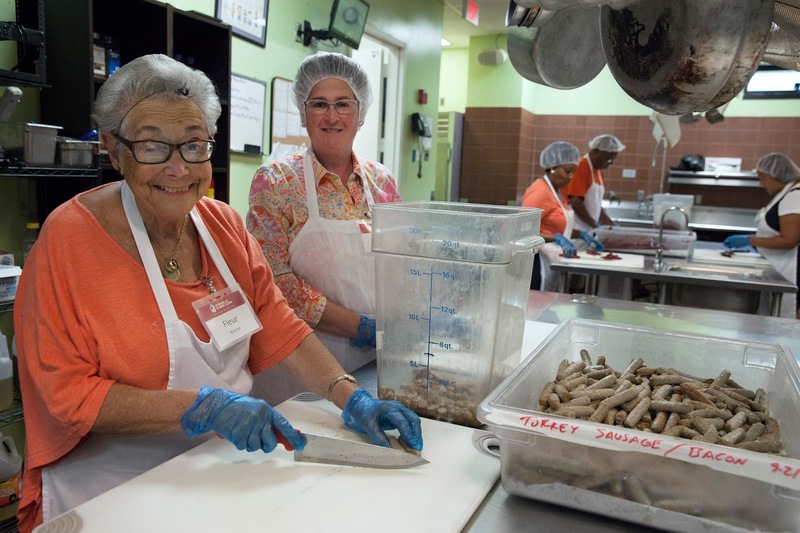 To see and spend time with our volunteers that have dedicated over 10, 15, 20, even 25 years to Food & Friends gave us chills, and reminded our staff why we do what we do. It was a testament to Food & Friends and the outstanding volunteer community we are so lucky to have! … Food & Friends drivers out-maneuvered 2016’s Snowzilla and made sure every client received their meals and groceries before the storm hit! 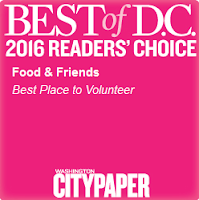 … Food & Friends was voted Best Place to Volunteer 2016 by the readers of Washington City Paper. Thank you volunteers and everyone who voted! 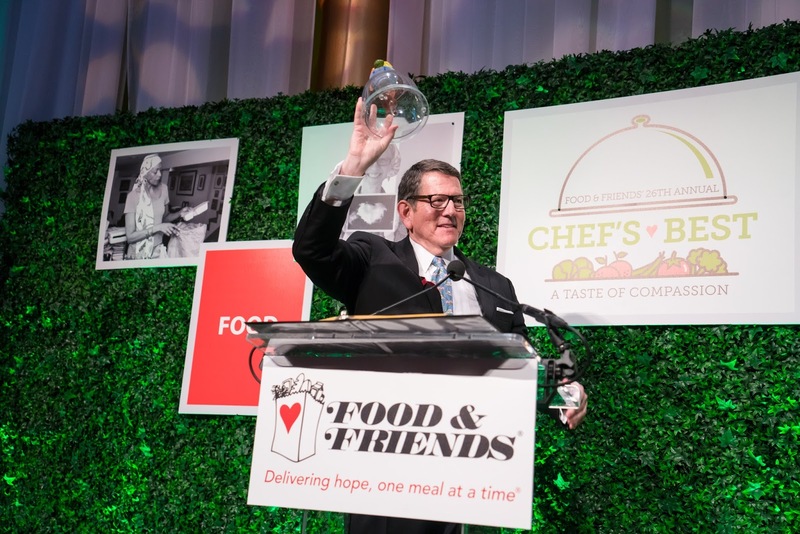 … We were proud to honor Board Member and former Board President Chris Wolf with the first ever “Compassion in Action” award at this year’s Chef’s Best. Congratulations Chris! … Food & Friends was also pleased to honor U.S. Congressman Steny Hoyer (D-MD) with the Public Servant “Spirit of Caring” Award for his profound commitment to his district, including numerous Food & Friends clients. … 250 pie sellers rallied across the DC area for our most successful Slice of Life campaign to date. Together, we raised more than $360,000 and served up over 9,100 pies! … Our staff was excited to welcome members of the media for Thanksgiving, several of whom joined volunteers for special Thanksgiving meal deliveries to gracious and welcoming clients. ABC7, NBC4, FOX5, CBS9, CBS National, and WTOP all joined us to cover the big day! … It was such an honor to be selected as the charity beneficiary of Ford’s Theatre’s annual production of A Christmas Carol, which raised over $88,000 for Food & Friends! Seeing the talented cast raise money and promote our mission from the stage was a highlight of the year! Thank you to the volunteers and donors who have carried us through the year, dedicating their resources, time and effort to our community and delivering health and hope, one meal at a time! Donate to Food & Friends' Holiday Toy Drive! Food & Friends Holiday Toy Drive! Join us in giving the children we serve a memorable holiday! Donate gifts to our annual holiday toy drive. Food & Friends is currently accepting toys for children of all ages but are especially in need of gifts for kids age 10-17. Individual gifts should not exceed $25 and can include gift cards. We are also accepting donations of gift wrap and tape. Food & Friends will be collecting donations November 28th through December 9th, 2016. 219 Riggs Rd NE Washington, DC 20011 and ask for a member of client services upon arrival. For more information, contact Lola Adebiyi at ladebiyi@foodandfriends.org or 202-269-6897. Living with cancer is challenging – no matter what the circumstances. But for those with a limited income, or no income, a cancer diagnosis can present seemingly insurmountable obstacles. Connie, 65, understands this all too well. She is one of over 2,000 breast cancer clients to have received meals or groceries from Food & Friends. 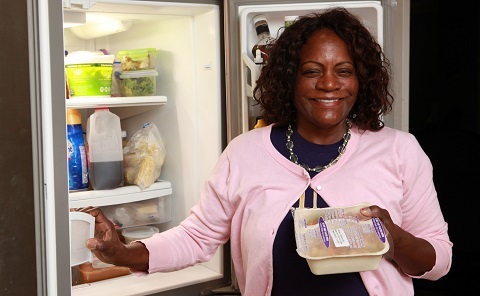 Without those nutritious groceries, Connie would be skipping meals and putting her health at greater risk. Founded at the height of the HIV/AIDS epidemic, Food & Friends expanded its mission in the year 2000 to meet the growing needs of people in our region living with cancer. A special education professional at John F. Kennedy High School in Wheaton, Maryland, Connie was diagnosed with cancer four years ago. Since then, she has been treated with chemotherapy and radiation – twice. As a result, she exhausted her annual leave and sick leave. On top of that, she has no family in this area that she could rely on for emotional or financial support. Twice a month, she now receives four bags of fresh food and pantry staples through Food & Friends’ “Groceries to Go” program. With two weeks’ supply of food, she prepares healthy meals like chicken breast sautéed with onions and garlic over brown rice or turkey burgers with a side of greens.